I have finished the knitting of the guernsey body and arms. The next step is to attach the sleeves. 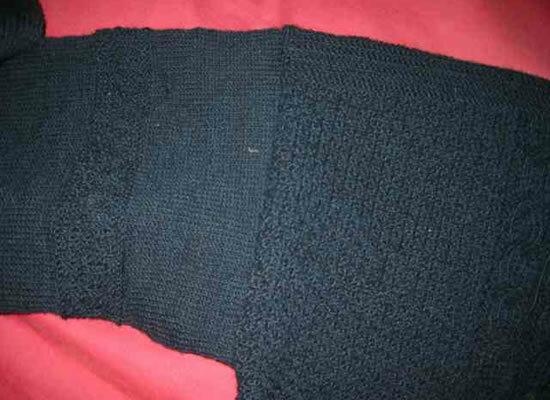 The pattern is written to pick up stitches around the armhole and knit down. I decided that the weight of the sweater was too great to easily do this - so I kniitted the sleeves separately. This also gave me a chance to easily adjust the length of the sleeves above the pattern band - I needed to add 4" to the length. 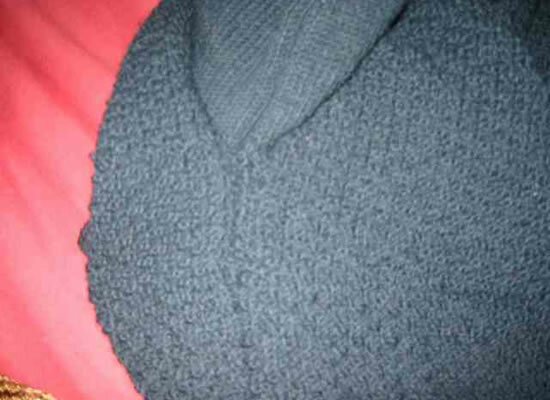 Because I increased the length of the body after I split the front and back, I had a split at the seam. I closed this by picking up the live purls from the fake side seam. I knit these 2 stitches picking up edge stitches from the front and back to close the seam. Its not perfect - but not visible from galloping horse! 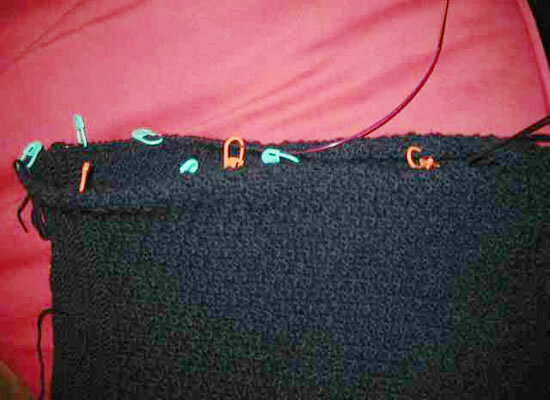 To pick up the stitches evenly around the armhole I divided the armhole into eigths. 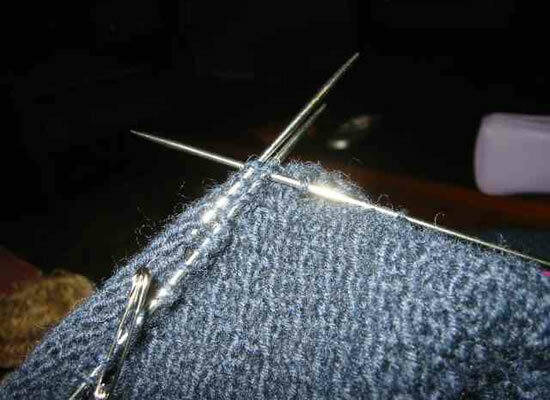 I then did a 3-needle bind-off on the inside to seam the 2 sets of stitches together. I'm really pleased with the effect - although it took an entire evening to join one sleeve. However - one sleeve to go and a few ends to weave in and I'm done!